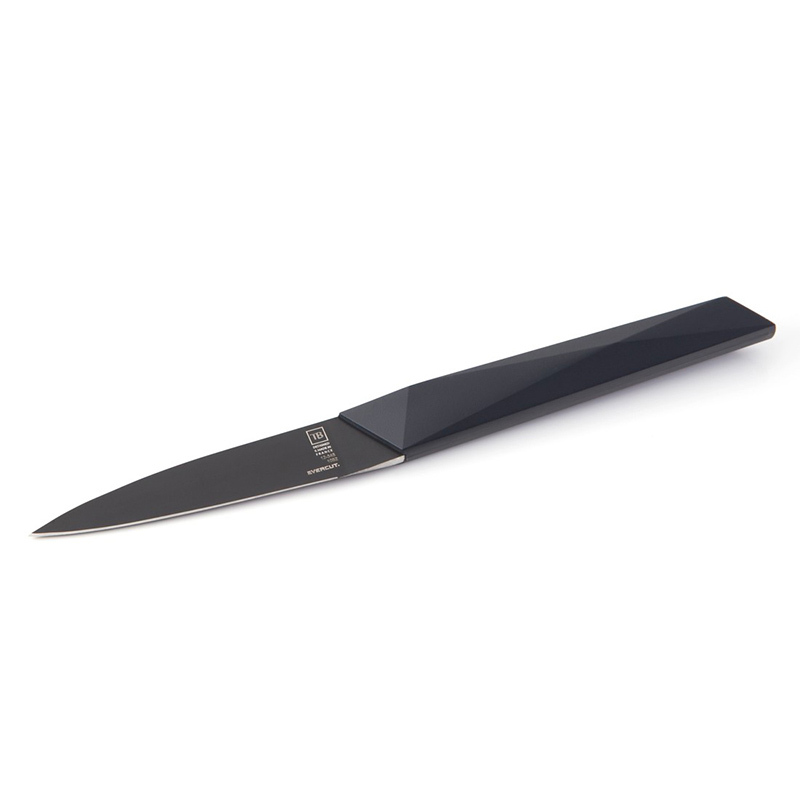 This paring knife is granted a stainless steel blade treated with the new Evercut technology. 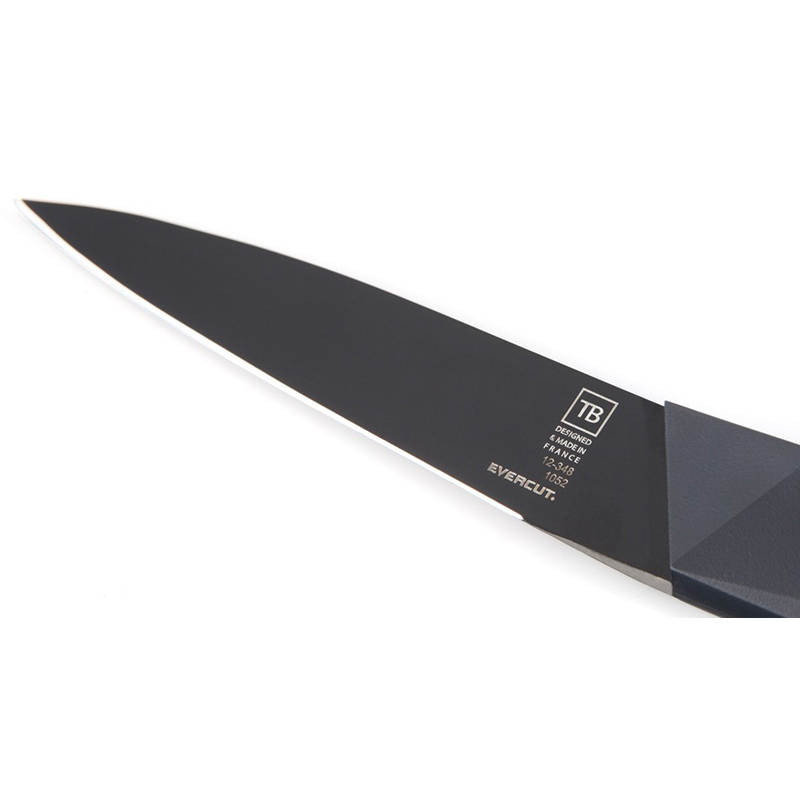 Made to last, this very elegant design knife offers a real sturdiness and a sharp edge that almost lasts forever, at least 300 times longer than the standard knives and it is life guarantee. 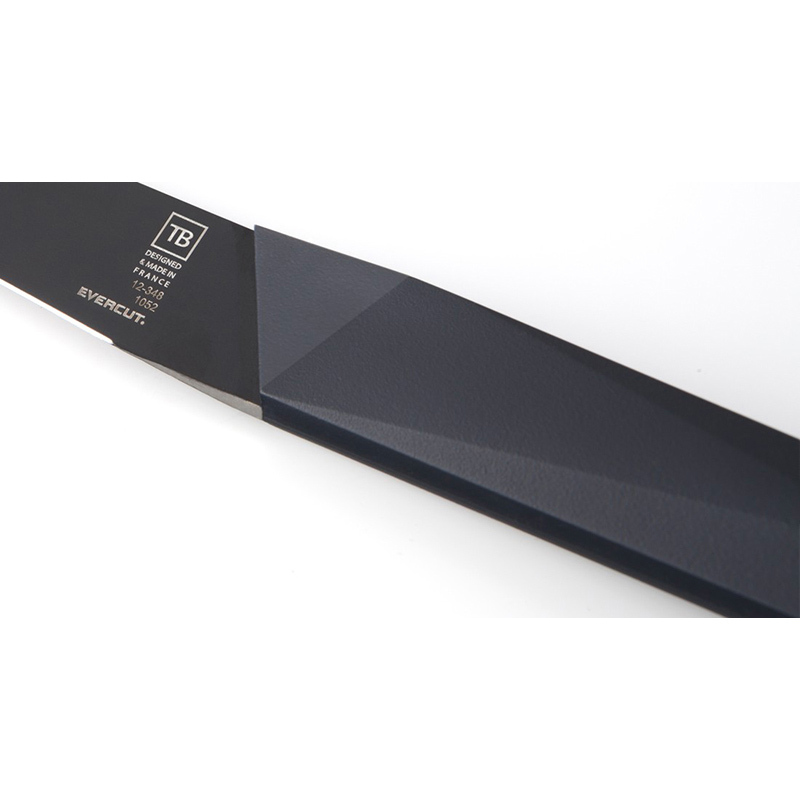 Unique, each blade of the Evercut® knives is numbered. Achieved by a state-of-the-art laser beam that mixes titanium carbide onto the edge of a steel blade, the Evercut® technology combines solidity, strength and flexibility with an extremely hard cutting edge. 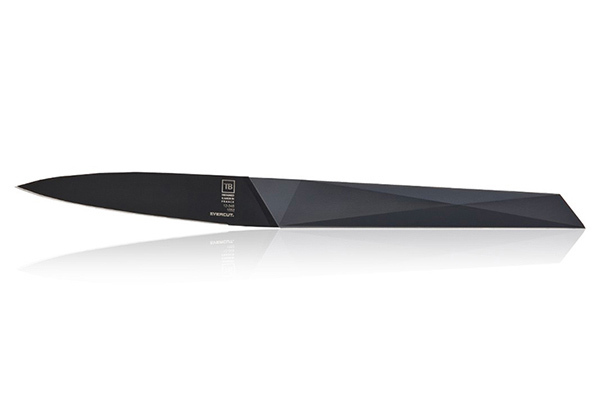 This revolutionary treatment makes of this design knife an ultra performing kitchen knife. 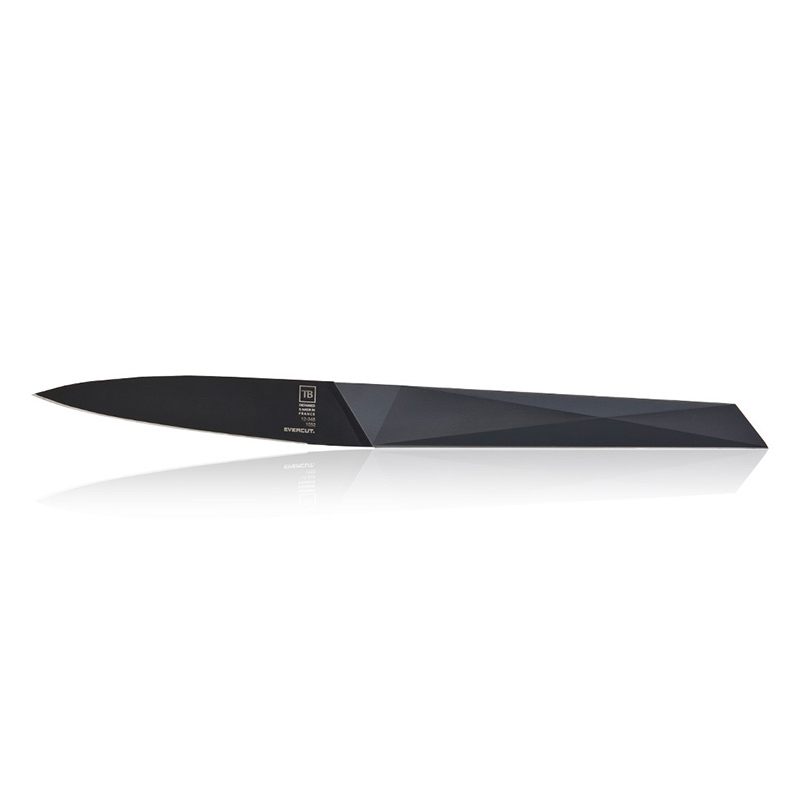 Its pointed blade enables to mince the smallest pieces in the finest details, while ensuring a very neat cut. Knife maker for 5 generations, Tarrerias-Bonjean is looking for excellence to offer a unique comfort in use to its kitchen knives. Made In France, the Evercut® Furtif paring knife has a lifetime guaranteed blade that can be personalised.